Last week the Grammar School hosted the Putney Community Dinner. 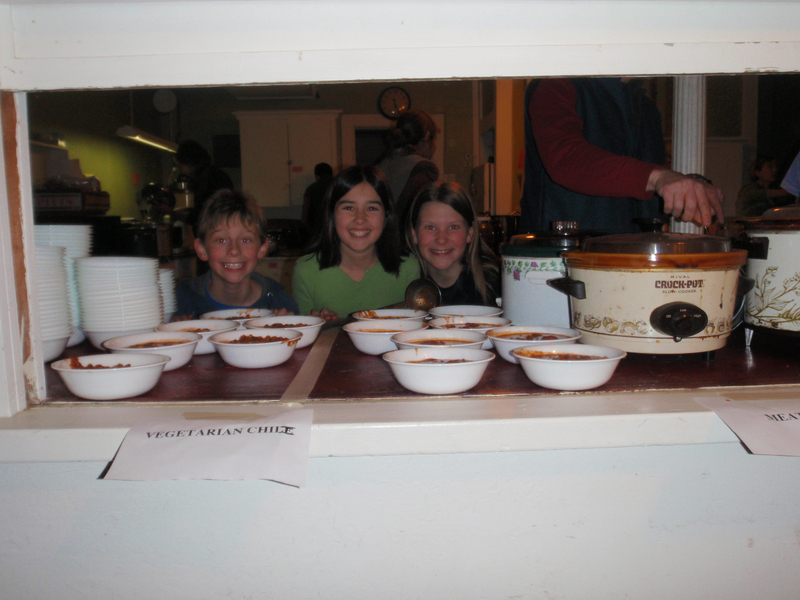 Mark, a current member of the TGS Board of Trustees, helped dish chili to a few hundred people who turned out at the United Church in Putney. The church, built in 1841, closed its doors last year, and its community traditions will be missed: the partnership with Heifer Project International; the public dinner of jambalaya and dancing in the garden that raised a generous donation for the recovery effort after Hurricane Katrina; and the annual Christmas Eve Candlelight Carol Walk and biannual Chowdafest.